TheLEADERNational Oil and Gas Group (PetroVietnam) has sold the remaining 29 per cent stake in Long Son Petrochemicals project to Thailand-based Siam Cement Group at price of VND2,052 billion or equivalent to $90.3 million. 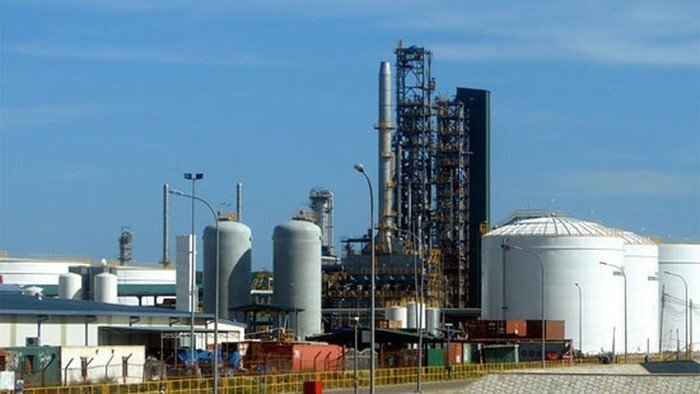 The Siam Cement Public Co., Ltd. (SCC) under SCG announced that it has entered into a contract with PetroVietnam to acquire a 29-per cent stake in Long Son Petrochemicals project (LSP). The transaction is expected to be completed in June 2018. Previously, SCG held a 71 per cent stake in the project after acquiring shares of Qatar Petroleum International (QPI). SCG has increased the total investment capital of the project from $3.8 billion, according to the previous plan, to $5.4 billion. LSP was initiated by PetroVietnam in 2008 with QPI. Overcoming many difficulties, the project was commenced in February this year. According to SCG, the commencement of Engineering, Procurement and Construction (EPC) activities for this project will start in the third quarter of 2018, with the targeted commercial operation by the first half of 2023. According to the design, LSP will have a production capacity of 1.6 million tons per year. The project is expected to create jobs for around 20,000 workers during construction, contribute an annual budget of about $60 million and train and employ more than 1,000 skilled workers. SCG has invested in Vietnam since 1992 in many sectors such as cement, construction materials, petrochemicals and packaging. The group now has 23 subsidiaries operating in Vietnam with about 8,300 employees. One of the big deals in Vietnam is the purchase of the Buu Long cement plant in Dong Nai province and the purchase of an 85 per cent stake in Prime Group JSC (Vietnam) at nearly VND5 trillion ($220 million) at the end of 2012. Recently, SCG has spent an additional $156 million purchasing Vietnam Construction Materials JSC. (VCM). Last year, SCG’s total revenue in Vietnam reached over $1.1 billion. In the first quarter of this year, its revenue was $267 million, an increase of 10 per cent year on year thanks to good business results of packaging and cement – building material sectors.